Safe training environment with practical, effective and to the point martial arts. INSTRUCTOR : Sensei Nick Nikolopoulos (5th Dan Black Belt), now based and teaching in Hobart. Over 25 years teaching and training Martial Arts. Former Kyokushin Middleweight & Heavyweight Champ, 1981 & 1983. Aust. Rep. in Kyokushin Karate 3rd World Tournament, Tokyo Japan 1984. CLASSES Suitable for all persons aged 14 years and over. Sparring - Kyokushin style & Kickboxing. Would you like more information on hours, classes and programs available at TAZ Kyokushin Karate & Kickboxing? Please contact the school with your questions. Update the details, Write a Review or Report Error of TAZ Kyokushin Karate & Kickboxing. This Chart shows the Martial Arts Styles offered most in Glenorchy, Australia area. 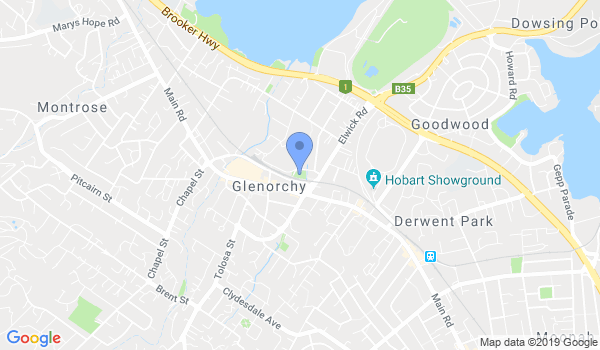 View a list of Dojo in Glenorchy, or enter your address below to find schools closest to you.